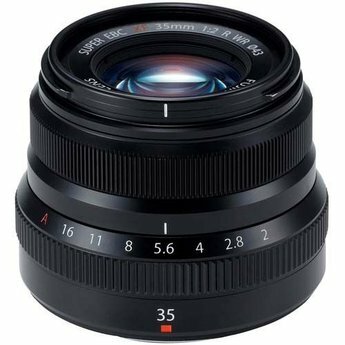 Offering a normal perspective in a compact package, the black XF 35mm f/2 R WR Lens from Fujifilm is optimized for use on X-series cameras with APS-C format sensors. Along with this, it has a fast f/2 maximum aperture, useful for creating images with a shallow depth-of-field and working in low-light conditions. Ensuring optimal image quality is a 9 element in 6 group design that incorporates two ED and two aspherical elements that work to minimize aberrations and distortion for crisp, clean imagery. Also, the lens has the Nano-GI coating which dramatically limits the effects of ghosting and flare. 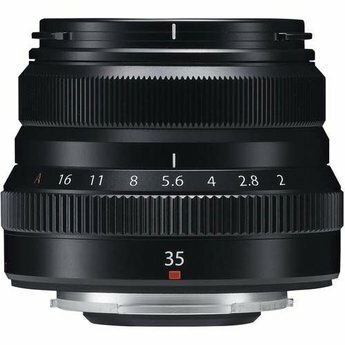 Providing a 35mm-equivalent focal length of 53mm, this prime lens provides a normal perspective that is useful in a wide variety of situations. Fast f/2 maximum aperture benefits working in difficult lighting conditions and also offers greater control over focus when working with shallow depth of field or selective focus techniques. The 9-element-in-6-group design includes two extra-low dispersion and two aspherical elements to minimize chromatic aberrations and distortions for increased clarity and sharpness. The autofocus system delivers smooth, near-silent performance that can acquire focus as quickly as 0.08 sec. A Nano-GI coating has been applied to the lens for controlling ghosting and flare, and greater image clarity. Eight weather seals are placed about the lens barrel to protect against dust, moisture, and temperatures as low as 14°F. 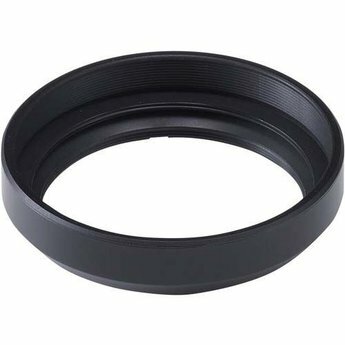 Nine rounded diaphragm blades contribute to a pleasing out-of-focus quality when working with selective focus or shallow depth of field techniques. Minimum working distance of 13" allows shooters to get close to their subjects.